Home ♦ Build ♦ What is DOCOL R-8 High Strength Steel? 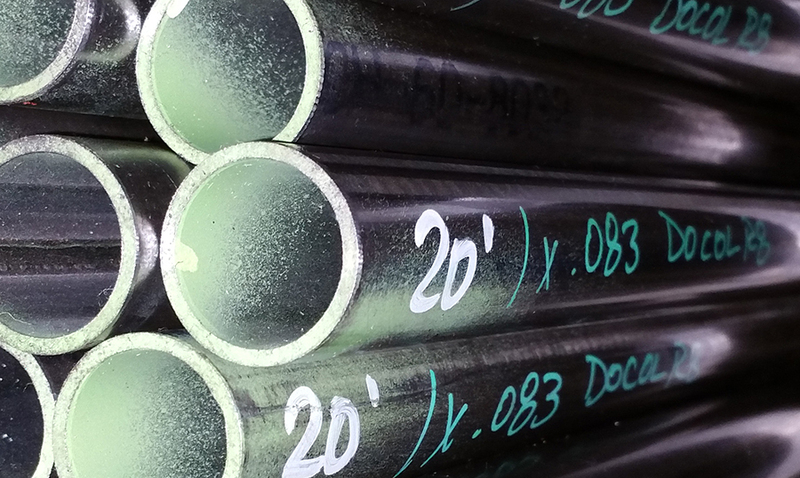 What is DOCOL R-8 High Strength Steel? Most of us just buy steel from the local metal supply. Ever wonder where it came from? Who made the steel? Who made the tube? There’s really no way to know. Hopefully it comes from somewhere in the US or really anywhere other than China. Even if it is made in the US, how do you know its a quality steel? How do you know it matches the standard tensile strength or any other measurement for the type of alloy? How do you know its actually 4130? I dont think you can. I know the guys who made the Exocet bought steel from numerous supply houses and had it tested so they could choose the highest strength steel available. Thanks to DOCOL, you don’t have to do that. You can simply ask for it by name. So the next question is What is DOCOL R-8 High Strength Steel? 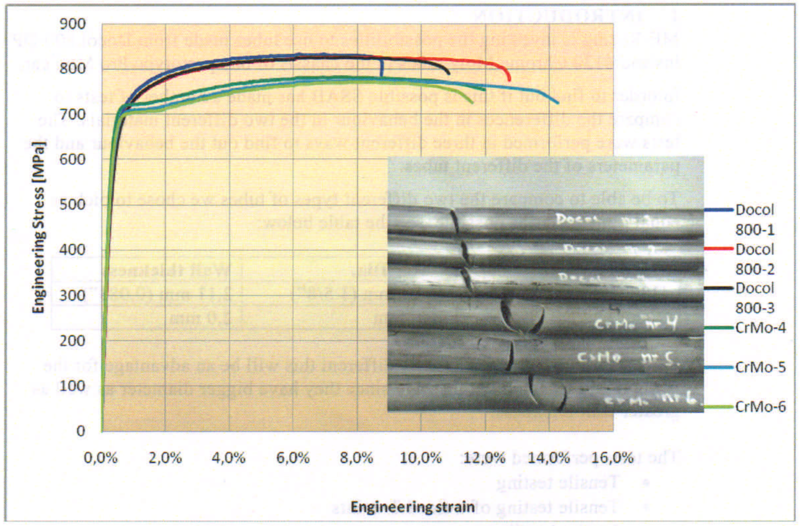 The company says its stronger than 4130 by 10-15% with very good weldability. They say you can weld it to 4130 or mild steel if you use ER80S filler material. 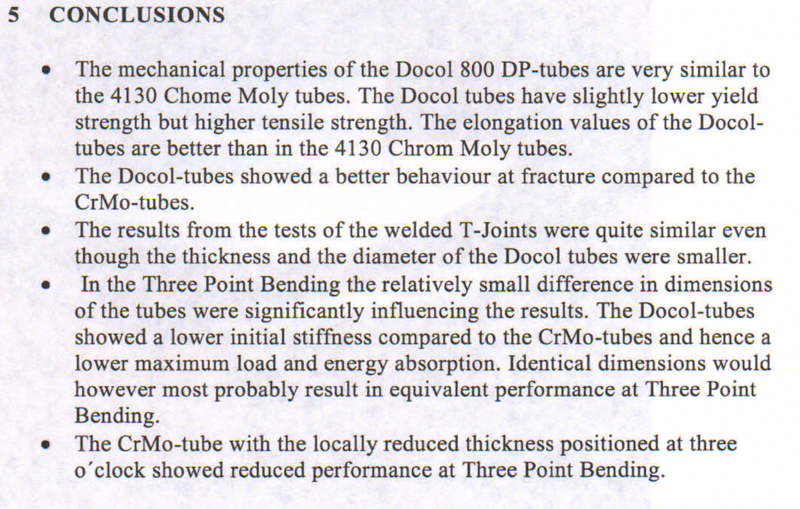 Apparently it’s non brittle when it fails and there is consistent material property, meaning the tolerances are accurate with consistent dimensional and mechanical properties throughout the tube. They also say that DOCOL has been used in the car industry for over 30 years and is only recently(since 1995) being branded and sold to motorsport for fabrication. 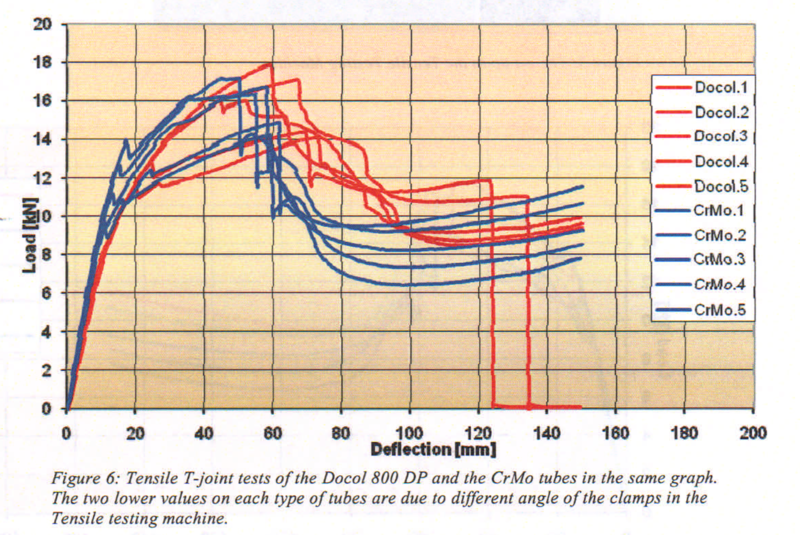 There is a cool testing paper on the suppliers site that show it compared to 4130 in a few tests. Here are some of the charts. 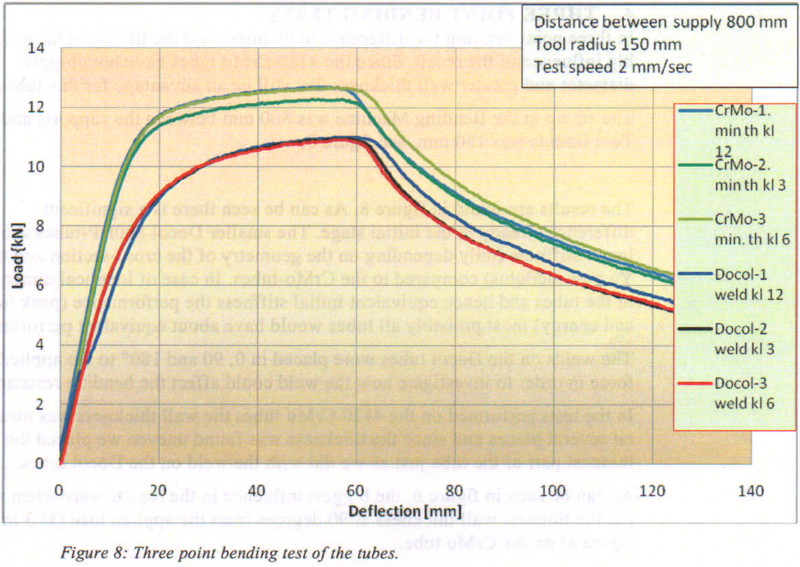 Interesting that the DOCOL doesn’t seem to do as well in the last deflection test as noted in the conclusion below. Docol has been approved by SFI but you should check you rule book for your particular sanctioning body to make sure its approved. Generally speaking its a higher quality metal and allowed but some series such as rally in the US for example mandate regular CDS steel. There’s only one importer for DOCOL and its AED Motorsport in Indianapolis. You can reach them at 317-334-0569 or check their website.